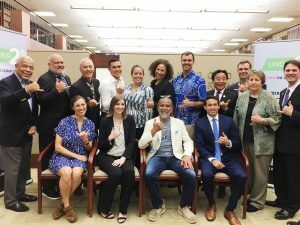 Hawai’i’s delegation pauses for a photo opp local style. Gov. Ige describes new U.S. 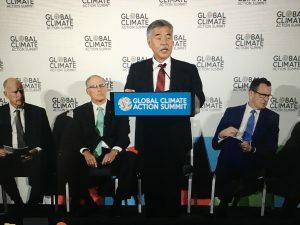 Climate Alliance initiatives. Real people in real communities dealing with the real effects of climate change. That describes life in Hawai‘i as we face hurricanes, king tides and the reality of sea level rise. 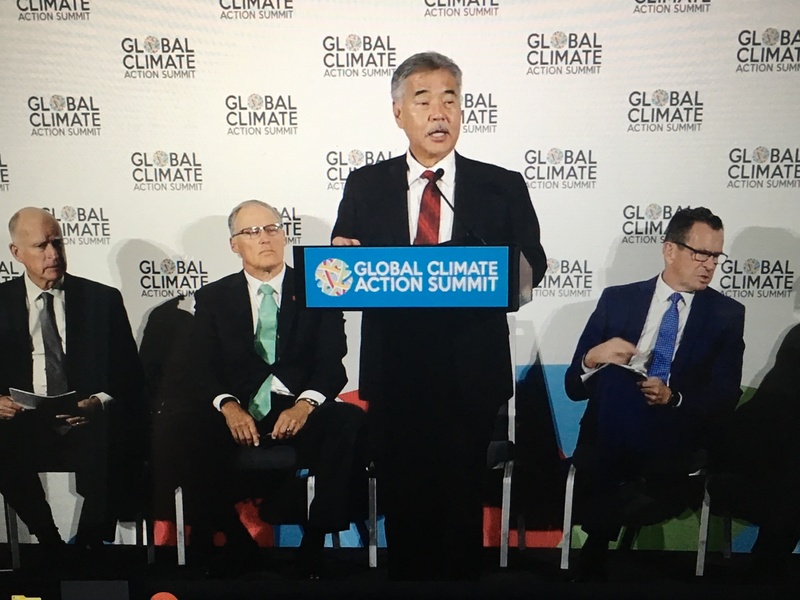 Governor Ige and other environmental leaders from Hawai‘i joined scores of national and international representatives at the Global Climate Action Summit in San Francisco last month to work toward the goals of the Paris Climate Accord. Gov. 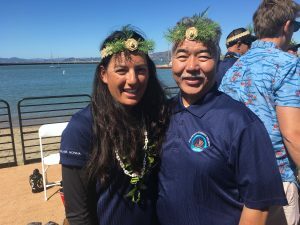 Ige with captain Lehua Kamalu after Hikianalia’s 2,800-mile voyage. The week culminated in an emotional, symbolic welcome for Hikianalia captain Lehua Kamalu and her crew when Hōkūleʻa’s sister canoe arrived in San Francisco with its own message of caring for island Earth. The crew completed the 2,800-mile journey from Hawai‘i to California as part of the Polynesian Voyaging Society’s global Mālama Honua campaign.